When it comes to home design, we believe there is no space more important than the bedroom. Of course, the kitchen is crucial to the proper functioning of a household, the living room is where you socialise and relax, and the bathroom… well, it’s an indispensable amenity. But the bedroom is the space where you will most-likely spend the bulk of your time. When not at work, you spend a huge volume of your time asleep, and for this reason, the bedroom needs to fit live up to high expectations. Your bedroom is an area of solace, privacy and rest. It is a rejuvenation station, and an area that is undeniably the most personal and intimate of all domestic rooms. First up, we head inside a small but adorable sleeping space. In this room the designers have opted for hanging side table lamps, which promote an interesting and eye-catching ambience. As an added benefit, they also save space, meaning the tables are free for other ornaments or accessories. Seriously tiny and seriously stylish, this perfect little bedroom is mostly bed. 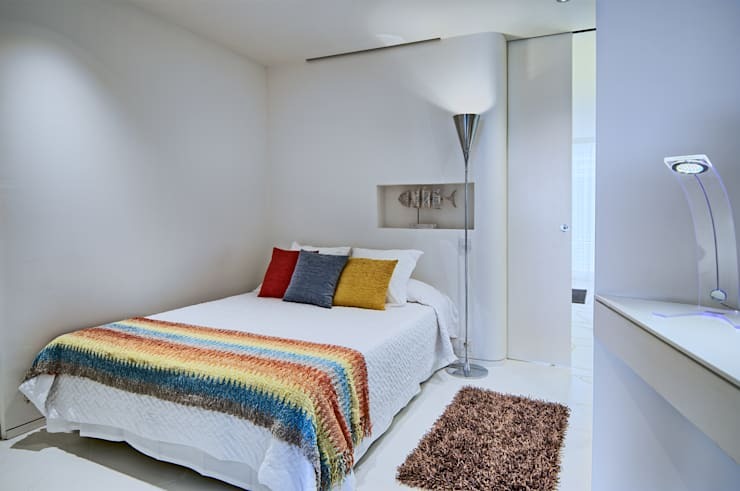 However, that doesn't seem to matter, as the built-in sleeping area features storage, and the rooms decorative elements are added in the form of colourful walls and exciting artworks. Who says a tiny bedroom cannot be tranquil and serene? This setup is simple and effective, allowing a radiant sense of serenity to wash over the all-white colour scheme. Next up, we take a peek inside this gorgeous (and tiny) bedroom. 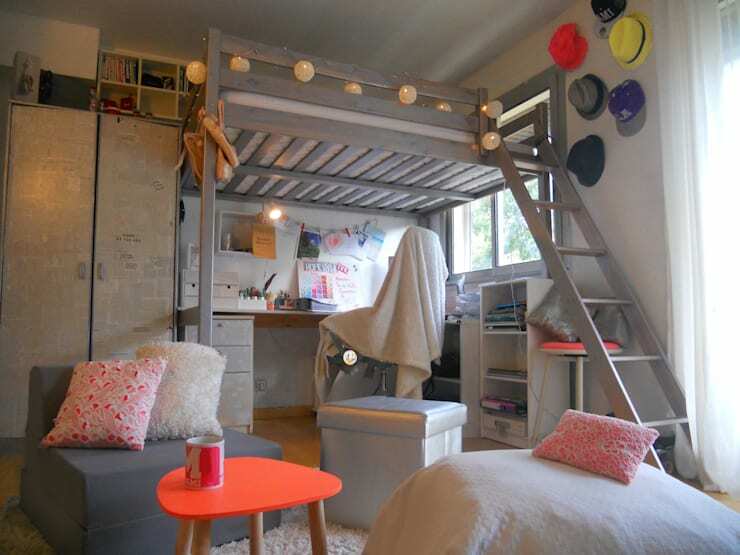 Utilising its height, the designers have opted for a loft setup, which maximises the floor space. In doing so, they have allowed room for a study and workspace, which sits alongside the casual sitting space. This tiny bedroom is actually situated within a studio apartment, and ensures its privacy by being located on a platform, in the corner of the space. Despite its cramped location, the bed is surprisingly inviting and alluring. 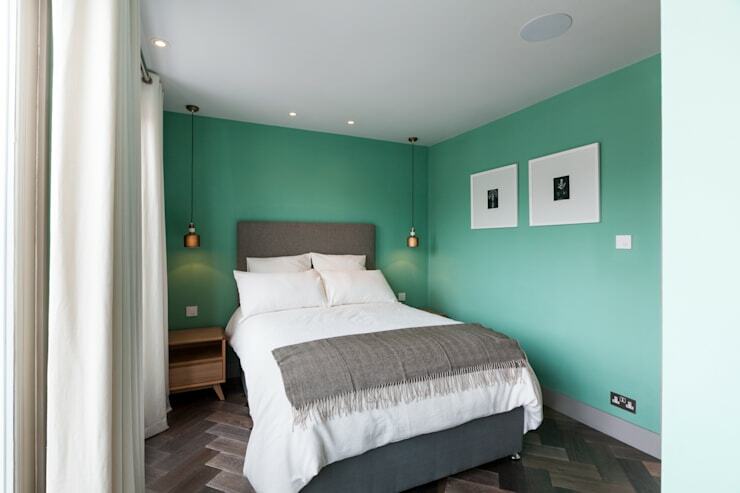 This next small bedroom is located downstairs, and accessed by a single staircase from the main dwelling. Although compact, the room is stylish and minimal, with a sophisticated en suite located just off of the primary space. 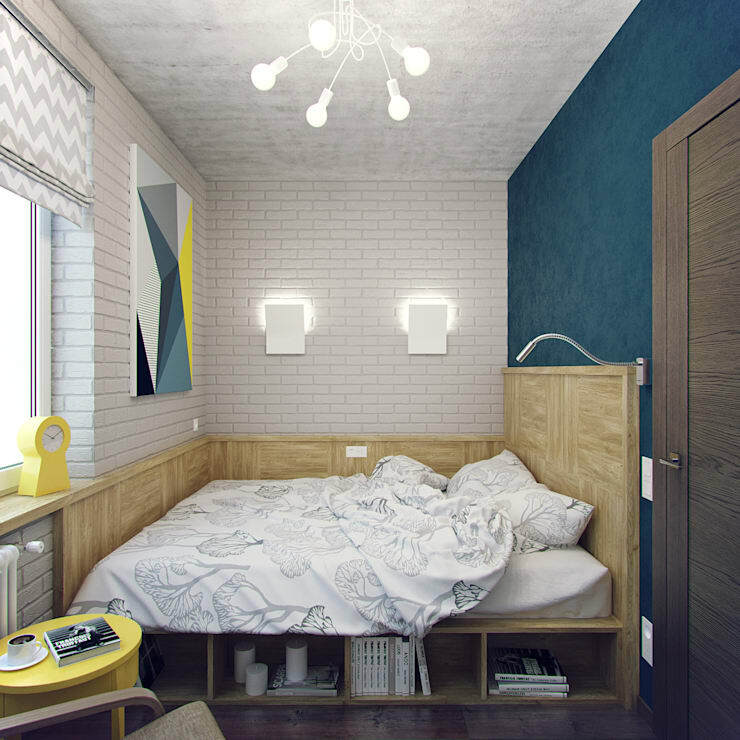 This small bedroom is situated in an apartment that actually contains no windows. Instead, a light well has been created to bring ample illumination into the space. 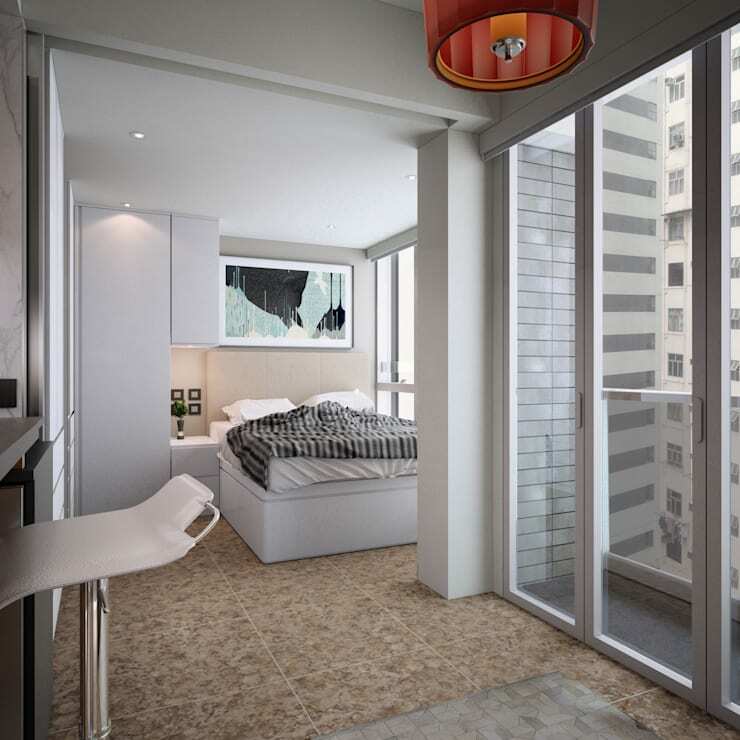 Although the room is compact and simple, it feels wonderfully roomy, and perfect for practical modern living. 8. The platform that boasts the most! 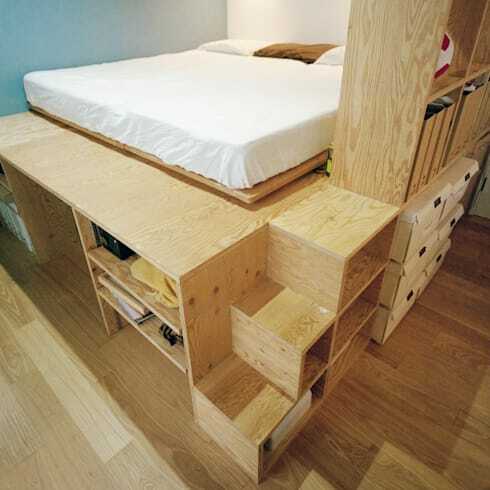 Another platform bed setup, this example hosts a range of different cubes that offer space to hold all kinds of bedroom miscellany. One of the best things about a small bedroom is that it brings out a sense of innovation, in an attempt to create a larger and more efficient room. 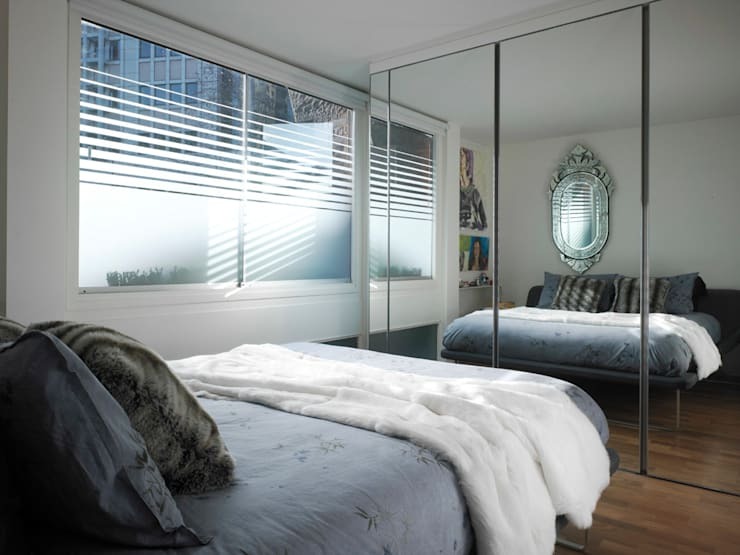 In this space, huge floor to ceiling mirrors have been added to the wardrobe doors, which reflect light, and increase the perceived openness of the bedroom. 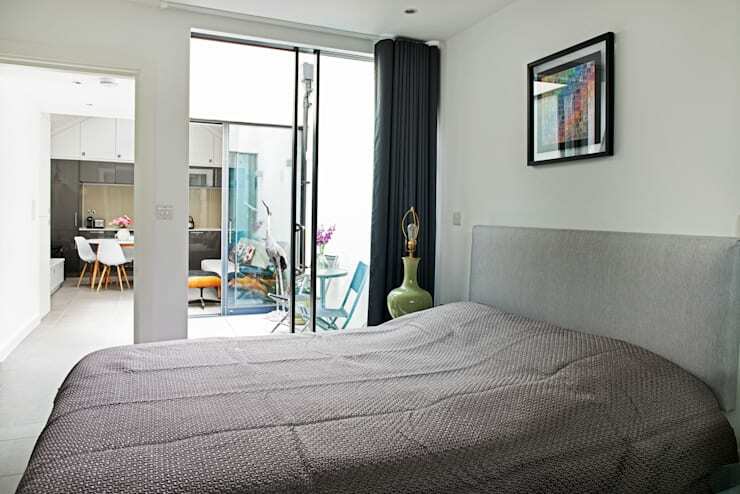 Finally, we peek inside a Hong Kong home, which boasts a small bedroom that is both practical and stylish. 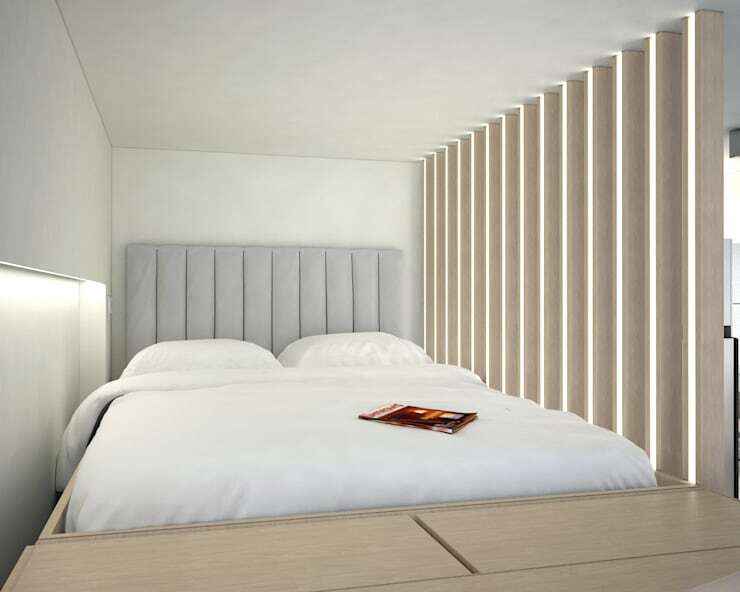 Embracing built-in furniture, as well as simple yet effective furniture, the designers were able to create a sophisticated and sumptuous sleeping area. What are your bedroom must-haves? Let us know below!